If you have gotten advice on submitting work to literary magazines, you’ve probably been told to submit to a lot of places. All writers experience rejection, and the average short story or poem might get rejected twenty times before being accepted and published. Unless you’re exceptionally lucky, you can’t fire off one copy of your piece to the New Yorker and forget about it. So how do you find the right literary magazines to submit your work to? Here are some tips and resources you can use to figure out where to submit your work. Getting published isn’t just about writing a good story, essay, or poem—it’s also about finding the right magazine. You need to submit to the magazines that will enjoy your work. One way to do this is to find out where the authors you love are getting published. Most poetry, essay, or story collections will include a list of where each piece was published. If you are just starting out, you might want to look in the back of debut collections. Do you notice the same magazines being listed by different authors you love? If those magazines publish the work you like reading, then they might be open to your work as well. There are several good literary magazine resources online these days. 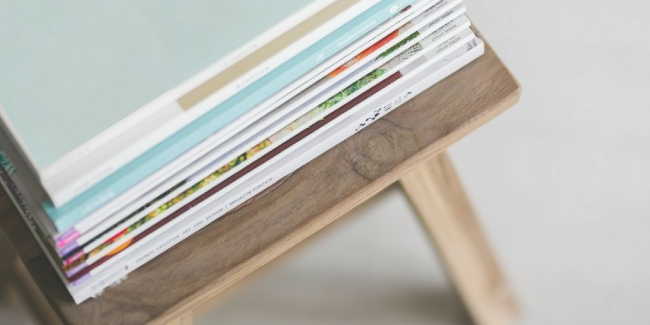 Duotrope has the most comprehensive list of literary magazines out there. Duotrope lists basically every magazine that accepts work—the current number is 6,090!—and allows you to sort magazines by genre, pay, and submission dates. It costs $5 a month to be a member and have full access to the site. Newpages is another website that also has a long list of literary magazines you can peruse. Unlike Duotrope, it’s free. Newpages also includes reviews of literary magazines, so you can get an idea what kind of work a magazine publishes before submitting. The Pushcart Prize Ranking is an unofficial ranking by author Clifford Garstang that rates magazines by how many Pushcart prizes they have won. No one anthology is the official word on anything, but you can be assured that any magazine winning a Pushcart is a high quality lit mag. Garstang has the rankings separated by poetry, fiction, and non-fiction. Sometimes the old fashioned way is best. Your local indie bookstore ought to have a section of literary magazines you can flip through, read, and buy. You’ll never really know what kind of writing a magazine publishes without reading it. Once you’ve figured out some magazines you want to submit to—and once you’ve made sure to read the submission guidelines for each one—it’s time to revise your work a final time and send it off. Good luck!